The world has slowly turned into a global village and every second business in the industry is competing with each other. The fight is for gathering more and more customer base. But one industry has seen a tremendous growth i.e. the BPM industry which was considered a typical customer service oriented field. The traditional setup has seen a shift in the work pattern. Currently, more and more industries are depended on this industry for betterment. Every product based or service based business needs a smart customer service team to drive the hyper-personalized experience with their customers. This segment has become one of the most revenue generating streams and it also creates a new experience for your customer every day. They are the ones where all your customer queries are handled. From assisting to understand the product to provide information they keep your clients’ satisfied. 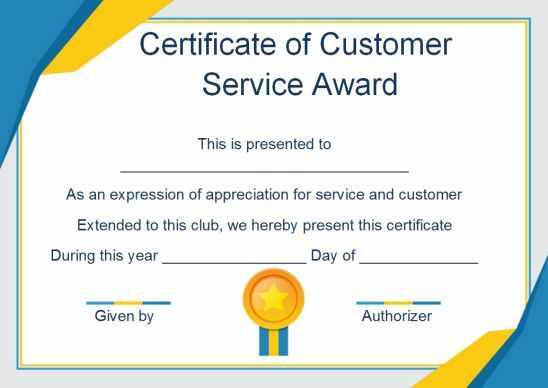 Thus to honour their hard work and day to day work pressure every organization gives customer service awards. Though in corporate sectors money is the most effective. There are times you need the recognition for your hard work. Different studies have suggested that the award should be inclusive of both monetary and non – monetary to create the maximum impact. When you give your employee a financial award it might imply that the task you are doing is difficult. But when combined with a certificate of performance. It will surely create more buzz among your employees. They are a professional method of communicating your recognition in the industry. 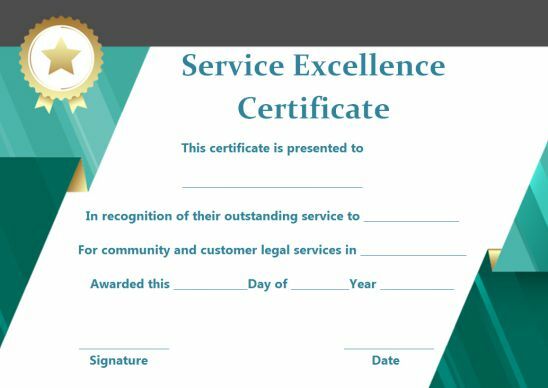 These awards are offered in different genres like Customer service representative of the month, Service star award, Diamond service Award, Long Service Award, Best Customer Representative award of the year etc. There are the 5 important W’s which should be answered through your certificate. 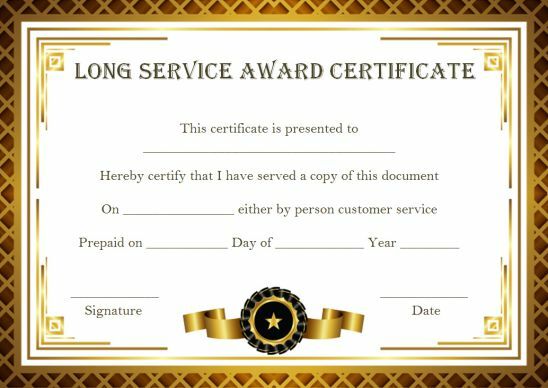 1st W – Who – Your certificate should clearly mention the name of your employee who is being rewarded. 2nd W- What – Every award has a name. The certificate title should have detail. 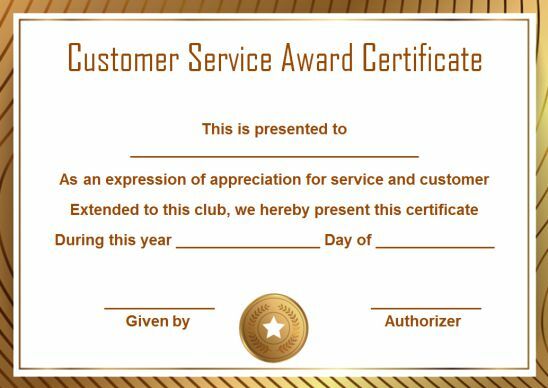 For instance, the Star performer of the year, Customer Service star of the month. 3rd W- Where – the Sponsoring organization or company should always be a part of the certificate. It is part of every protocol and should always be included in the certificate. 4th W- When – This section is to understand the timeframe of the award. It could be a month, quarter or a year or for 5 years. 5th W-Why – This is the important section as it describes the reason for the award is given. For instance, 100% customer satisfaction rating etc. Company Logo – Located at the top centre of the certificate, this is the place where you use your company Logo. You can also use any alternative customized logo for this award ceremony in this section. 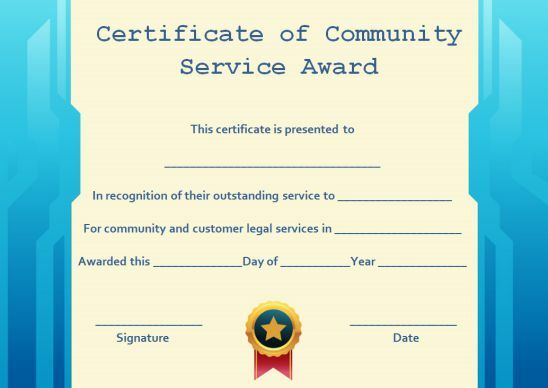 Title – This section of the certificate belongs to the title of the award. 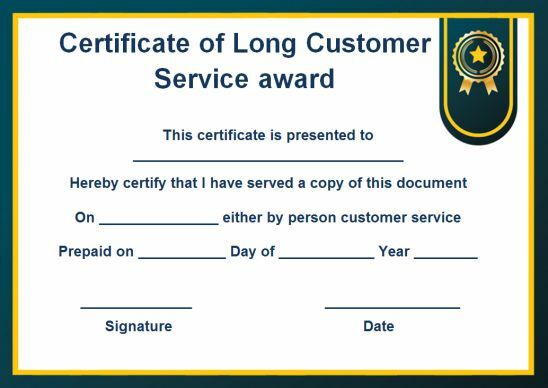 For instance, a customer service award or performer of the month award. Award Criterion para– This section includes the information regarding the award. As the title has already been mentioned earlier. 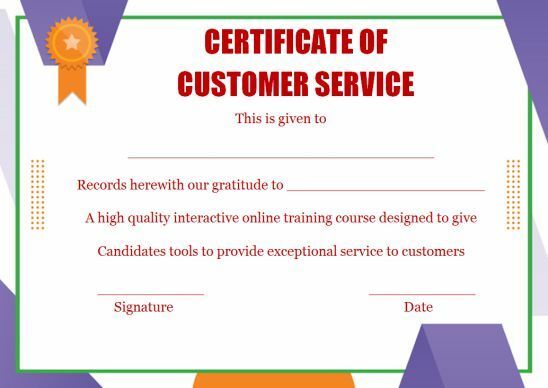 Precisely inform about the certificate importance. Name & the title of authority – This section is signed by the head of the organizing committee or the head of that particular vertical. The signature is followed by the name and designation of the official. Date – This section mentions the date when the award is being presented. Institute Name – This section includes the name of the organization or association who is sponsoring the award. 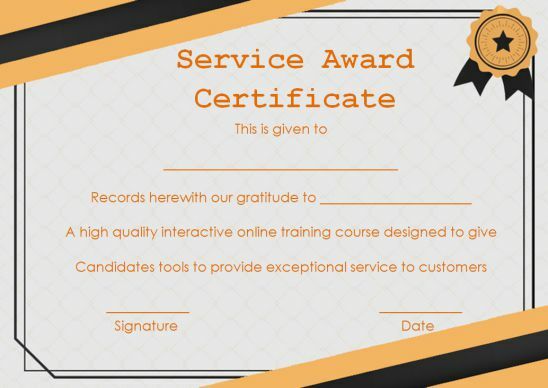 This certificate is given to employees who have served for a long period of time in the organization. They have stayed with the organization with its ups and downs. To acknowledge the commitment and patience of such employees towards the organization, these awards are given. These certificates are a little more outlandish than the normal certificates. the use of colours is elegant and classy like golden and brown. 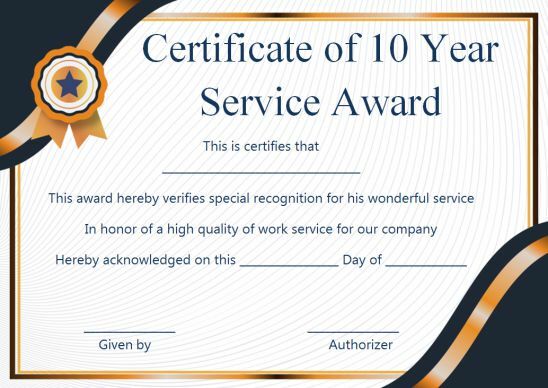 This certificate is to honour the 5 years or 10 years of commitment of an employee towards an organization. Signature ___________ and Date _______ the logo could be present in between the signature and the date or at the bottom corner.